At one time if I wanted to find something out I would look it up - in a book or maybe an encyclopedia. Then that was replaced by searching online, which I still do. For example a couple of weeks ago I was prescribed some medication by my doctor. I wanted to know a bit more about it and while the medicine came in a box with a lengthy description - in German, French and Italian - I don't speak any of those languages. Therefore it seemed that Googling the name of the medicine on the internet would be my best way of finding out more about it. When I first started using the internet that is what I used it for - I used it to find content. Most of the time these days though, if I want to find something I just put it out there on Twitter and tap into the wisdom of my network - and most of the time what I get back is more personal, relevant and useful than simply searching for something using Google. In the same way, daily I receive requests for information from others in my network - sometimes this is for information that I have searched for in the past and which I have now tagged and stored on my Delicious/Diigo accounts and can retrieve and share very easily. We are finding and filtering and tagging and organizing for ourselves and for others too. Sometimes there's just so much content, that it's only through our connections that we make sense of it. In my first year at my school I ran a series of techie breakies. I introduced tools that I thought would help our teachers to become more connected such as Twitter and Blogger and Google Reader, tools such as Dropbox, Evernote, Delicious and Diigo so they could organize what they found and connect with others who also found it useful. In retrospect I would say this was years ahead of where our teachers were at that time and probably not very useful to them right away (though some of them have since jumped on board and stared to build their own networks). While I wanted the professional development to focus on the communities that they could build up as a result of their connections, the teachers were more focused on the tools that they could use with their students, on adding the technology to what they were already doing. 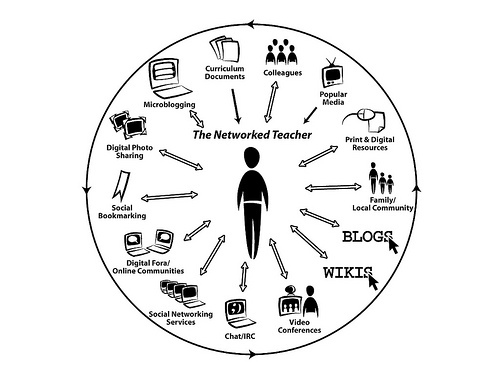 I'd come from a school that had already shifted in its pedagogy, so that students were creating wikis with other students around the world, learning with and from each other, and our learning portal which four years earlier was just a simple transfer of the analogue curriculum into a digital format had transformed itself into a dynamic place where students and teachers connected. When I look back now I can see that I went into a real dip when I arrived at my current school because for the longest time I saw myself as a failure because I couldn't make that shift happen here. I couldn't even make anyone aware of the fact that the shift needed to happen! And so I started to blog. Since I've now published my blog into two books I realize just how much content it contains, but the power of the blog for me still remains the fact that I have connected with over a hundred thousand people. With Twitter I find a lot of useful content being shared too, but again the power is the personal side of it. The connections are more important than the content. 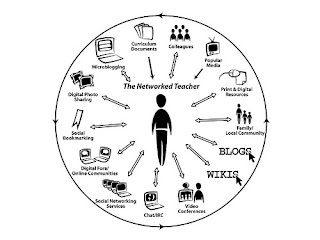 The connections are what lift my teaching to a new level. The connections are what led to me being able to virtually "attend" conferences online, even when I wasn't allowed to attend them in person. 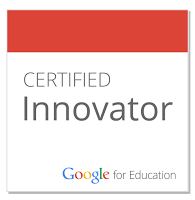 They made it possible for me to find out about and then attend the Google Teacher Academy in London a year and a half ago. The connections since then through the GCT community have made me re-envision my future and have supported me as I looked for a new place to work. The connections are what led me to new job possibilities and people that I want to work with. The connections have fundamentally changed me and what I do. Great point. Sometimes there's just so much content, that it's only through our connections that we make sense of it.